Many people might assume that in a city like Charleston, sandwiches are mostly biscuit rafts floating in a sea of gravy—and there is some truth to that. But one of the hottest food cities in America is experimenting with all sorts of interesting items between two slices of bread, from Southern-style steamed buns to vegetarian sandwiches so good you’ll never miss the meat. Here are the best places to find them. 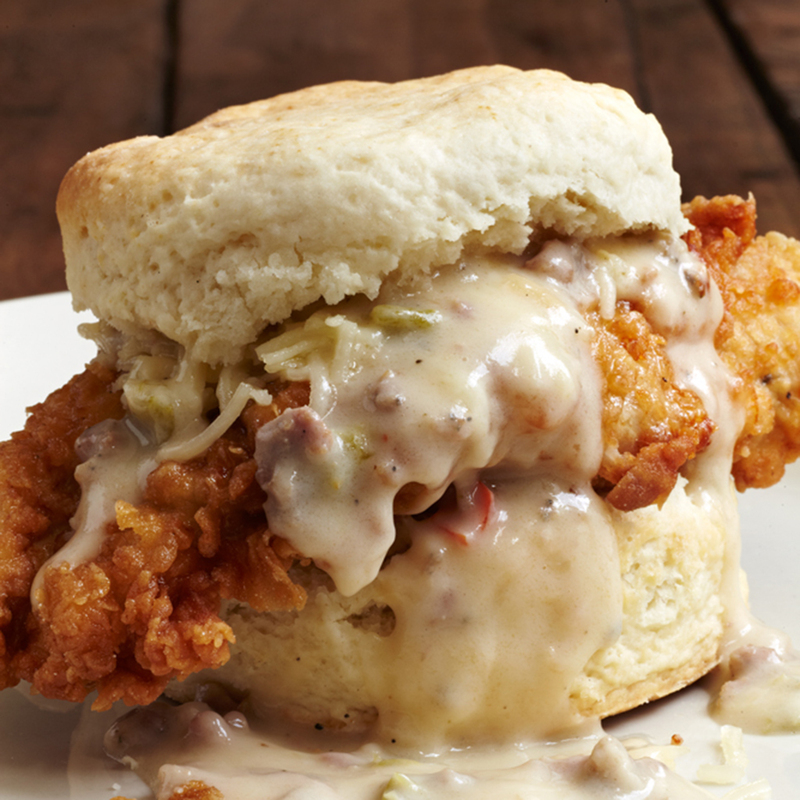 It gets no better than Hominy Grill’s breakfast mainstay the Charleston Nasty Biscuit, packed with fried chicken breast, cheddar cheese and a dousing of sausage gravy. At lunch, the fried catfish po’ boy with lettuce, tomato and remoulade sauce on a soft French baguette makes a strong showing. Order a toasted baguette stuffed with ginger lemongrass chicken, cucumber, pickled carrots, daikon radish, cilantro holy basil, crispy shallots and chili-mayo. Not into meat? Opt for the five-spice tofu with the same accouterments and a side of Vietnamese slaw. The funky, fun neighborhood restaurant pulls locals in for its meat-heavy pork slap sandwich, which uses a fried pork cutlet, beer-braised pulled pork, picked green tomatoes, Swiss cheese and mustard seeds on a brioche bun. Of course, this washes down well with one of the 42 on-tap beers. Any menu item with the affirming title “Mmm, this is a tasty burger” is a welcome sign, especially when it’s loaded with green chiles and pepperjack on a light, airy brioche. For a unique vegetarian choice, opt for the pulled squash on a hoagie with smoked slaw, barbecue sauce and pickles. You’re this close to the water, so don’t miss the hot, crispy oyster sliders on buttery, fresh Hawaiian rolls at The Ordinary, accompanied by crispy sea salt potato chips. Available on Tuesdays only, the signature lobster roll and frites is a requirement. For a classic deli sandwich, this butcher shop uses artisanal bacon on its popular BLT, along with tomato, mixed greens and garlic aioli on a soft ciabatta roll. It’s best served with a side of aged gouda mac and cheese. Sign up for the legendary Duck Club, a serious layered, triple-decker monster filled with duck confit, cheddar and bacon on Hawaiian bread with lettuce, tomato, red onion and garlic aioli. At this casual, hip Asian comfort food spot, situated in an old gas station, you will find easy, crowd-pleasing dishes like the savory okonomiyaki, a Japanese pancake topped with all the fixings.